Being extra productive doesn’t always mean keeping your nose to the grindstone. In fact, the key to productivity could be doing just the opposite. As Clive Thompson points out at Wired, plenty of history’s most successful figures accomplished a whole lot in just a few hours, then took the rest of the day off. While some research has found that the key to being productive is staying busy, there are plenty of examples from history that argue otherwise. Gertrude Stein often only wrote for half an hour per day. Charles Darwin would work just three or four hours in the morning, then leave most of the rest of the day to correspondence, walks, naps, and other leisure activities. Max Planck, who originated quantum physics, wrote and lectured during his mornings, but left the rest of the day for leisure and recreation—like hiking and mountain climbing. One study of scientists in the 1950s found that the most productive people surveyed spent only 10 to 20 hours a week in their offices, Thompson reports. These people were able to create world-changing work while maintaining a schedule that would shock the average office worker. In all likelihood, these brilliant thinkers weren't productive in spite of their relaxed schedules, but because of them. Scientists have found that having a little downtime is vital to keeping your mind sharp, especially when that downtime comes in the form of taking a walk outside, which is known to boost creativity and improve mental health. People tend to be more creative when they have time to let their mind wander, according to research. Even taking a brief break to work on another task has been shown to increase creativity. That’s why you often get your best flashes of inspiration in the shower, when you have the bandwidth to daydream. So when Charles Darwin put away his work to take a long stroll and a nap, he was just giving his mind the space it needed to chew on the ideas he was working on that morning. If you’re not your own boss, you probably can’t say you’re going to quit working at noon and spend the rest of your day going for walks and taking long naps, but it’s helpful to understand that being your most productive self isn’t necessarily about intense time management that keeps your eyes glued to your computer screen all day. 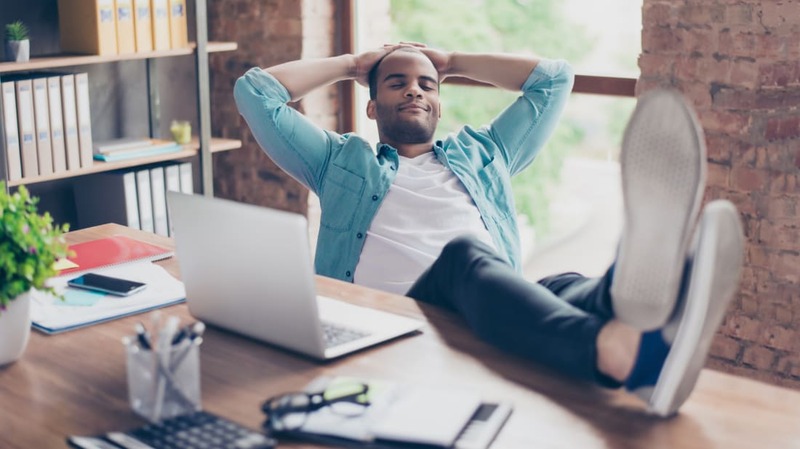 A little slacking off—especially if it’s something that lets your mind wander, like taking a stroll around the block—might actually be good for your output.